Protiviti is a global consulting and internal audit firm specializing in risk and advisory services. They help solve problems in finance, transactions, operations, technology, litigation, governance, risk, and compliance. Clients include over 60 percent of the FORTUNE® 1000 list and 35 percent of FORTUNE® Global 500 organizations. Using an effective, in-depth and fun onboarding program, Protiviti introduced new hires to Protiviti culture and integrated them into their role. When Protiviti started to look at the effect of their current onboarding initiatives, they realized attrition rates were much higher than anticipated. Their turnover rate suggested the onboarding process was not making the new hires feel welcome or fully transitioning them to be a part of Protiviti’s team. As a result, Protiviti sought an immersive solution that: welcomed new hires to the organization’s culture, introduced new hires to the business of the business and allowed new hires to see how the fit into the big picture. Protiviti worked closely with Paradigm to create PASSPORT TO PROTIVITI, an interactive, transformative, and empowering onboarding program. The new hire orientation included a Discovery Map® activity to introduce and explore the organization’s culture, values, structure, missions, and topics important to the new consultants with the use of a fully illustrated visual metaphor. In addition, a custom board game about Protiviti’s business had teams competing with high energy and engagement, incorporating content and challenges they would soon be facing on the job. Feedback from PASSPORT TO PROTIVITI has been resoundingly positive. The experience left new hires feeling prepared success in the firm, by demonstrating how valued they were to the organization and allowing them to form networks and friendships immediately. Employees, senior executives, and new hires alike that have attended the program have expressed their support. Read our latest Onboarding eGuide. 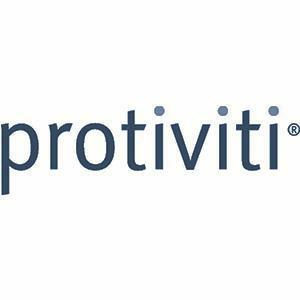 With the overwhelming positive feedback received, Protiviti plans to continue to run the PASSPORT TO PROTIVITI program throughout the U.S. for experienced new hires and campus new hires. They also plan to expand it to their global audiences as well. Utilizing their customized onboarding program, Protiviti will continue to give the right people the opportunity to thrive in their organization and better retain their key talent for financial and strategic success.